Libertarian billionaire brothers Charles and David Koch were among the first to grasp the political potential of social welfare groups and trade associations — nonprofits that can spend money to influence elections but don’t have to name their donors. Documents released in recent months show the Kochs have added wrinkles to their network that even experts well versed in tax law and campaign finance say they’ve never seen before — wrinkles that could make it harder to discern who controls each nonprofit in the web and how it disperses its money. “My guess is that we’re looking at various forms of disguise — to disguise control, to disguise the flow of funds from one entity to another,” said Gregory Colvin, a tax lawyer and campaign-finance specialist in San Francisco who reviewed all the documents for ProPublica. Four other leading nonprofit experts and three conservative operatives with knowledge of the Koch network said the most likely reason that the Kochs and their inner circle are using this arrangement was to exert control over the groups without saying publicly who was in charge. In particular, they said, the Kochs likely wanted to prevent any of the groups that they help fund from going against their wishes — as happened with the Cato Institute, the libertarian think tank the Kochs had long supported before they got into a dispute with its president, Ed Crane. As of 2012,all 12 Koch network groups had offshoots known as “disregarded entities” — LLCs that are “owned” by their parent nonprofits and are considered part of them for tax purposes. “You don’t want to just create one layer of anonymity, because that layer could be breached, maybe just by accident — you know, the memo that’s left lying around kind of situation,” said Lloyd Hitoshi Mayer, a law professor and associate dean at the University of Notre Dame who specializes in nonprofits and campaign finance and who reviewed the groups’ available documents for ProPublica. Seven disregarded entities in the Koch network took in more than three-quarters of the money received by their parent nonprofits. POFN, the disregarded entity of a nonprofit called Public Notice, for instance, brought in more than 75 percent of its parent’s $6 million in revenue from May 2011 through April 2012. POFN’s manager — whoever that may be — would control how that money was spent, nonprofit experts said. But nine of the 12 nonprofits in the Koch network were formed as trusts — an approach several tax experts said they had rarely, if ever, encountered. The first was TC4 Trust, which was established in August 2009 and folded in 2012. 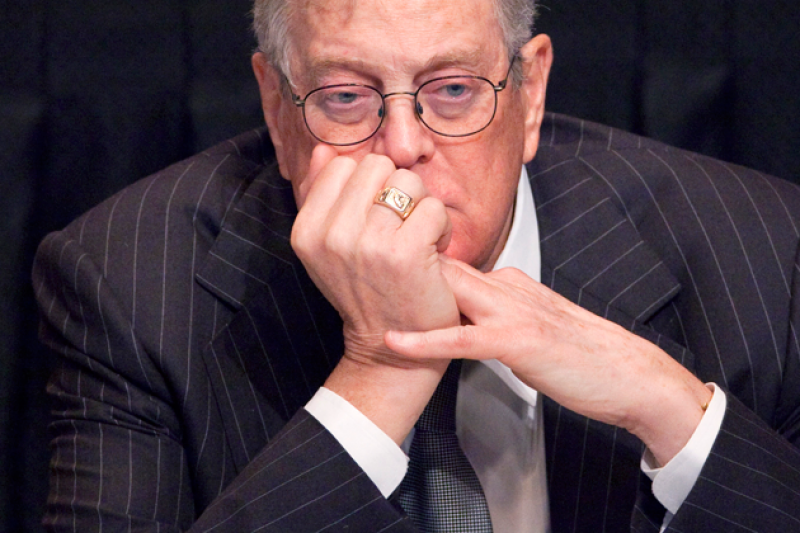 Eight more Koch-affiliated groups were set up as trusts in 2010 and 2011. Despite those credentials, the trustees can be axed at any time. Each trust agreement gives an LLC — not a disregarded entity, but a different one with a similarly nonsensical string of four letters for a name — power to remove the trustee for any reason. For instance, Daniel Garza, the trustee for the LIBRE Initiative Trust, can be removed by an LLC called THGI.